In 1991 there was a lot going on for a young boy whose family skied very well. He could certainly ski well; it was part of his genetic makeup. But, at four, he decided that he liked tennis. And to his family’s surprise he was good. Not just, “Oh, how cute – a four year old playing tennis”, good, but extraordinary. When he was six, Jelena Gencic, a Yugoslav tennis player spotted him and told his parents that he was the greatest talent she had seen since Monica Seles. Gencic worked with him until he was twelve. She then suggested that he move to the Pilic Tennis Academy in Germany where he spent the next several years working on his game. A diligent fellow at heart, he wasted no time. He became a professional when he was sixteen. Looking back at his ATP rankings shows what seems to be a meteoric rise in the rankings. July 7, 2003 he was at 767. By August of 2007 he was number three in the world. Since then his rankings have consistently been at the top of the heap. He was number one for four years during 2011, 2012, 2014, and 2015. His play remains amazingly consistent, despite hitting a few speed bumps along the way. A few years ago, after a myriad of health problems that seemed like allergies, he consulted specialists that figured out it was gluten intolerance. He discontinued the wheat and whatever else that contains gluten from his on the go menu. A dramatic change occurred. No more allergic reactions. Even with a few stumbles recently that saw him change coaches, today he is Number 2, and like Avis, he always tries harder. 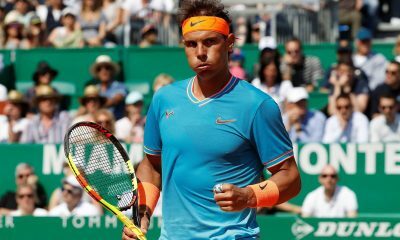 The first Monday of 2017 Roland Garros saw him defeat Marcel Granollers of Spain in a lengthy, two hour and 27 minute straight-sets match. It wasn’t really close on paper, but Granollers made the most of his time in the spotlight on Court Philippe Chatrier early in the afternoon. The 6-3, 6-4, 6-2 score belied the competitive efforts of the Spaniard who kept Djokovic on his now thirty year-old nimble toes. Card players know that there is a “tell” when someone either has a good or a bad hand. Djokovic has always had what I think is a “tell”. He has a habit of bouncing the ball before he serves and the number and frequency of the bounces change with his impression of how he’s doing in a match. Normally there is a six or seven bounce prelude to his serve. His nervous serve has six or seven bounces, then a halt and six or seven more. The bounces usually add up to thirteen. Today’s match included just a few of the thirteen-bounce variety, but they were there. It was more than “extra” big because it completed his very own career Grand Slam. He already had taken home the prizes from the other slams – six from the Australian Open; three from Wimbledon and two from the US Open. A win this year would put him in a very exclusive “club”. If he can manage to make it through the draw with Rafael Nadal, somehow out of the picture, he might be able to eke out a win and become the third man in history to win all of the slams – twice. 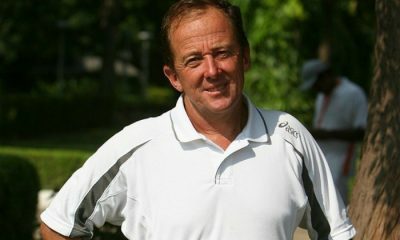 He would join Rod Laver and Roy Emerson, who are the only men to have won each of the grand slams twice. That said, there’s another biggie that would go down in the history books. He would be able to do it in the Open Era. Even though Laver won some of his titles in that era, Emerson and he were in competition before the change. There is a lot to be said for goals that increase one’s chances of leaving an indelible mark in the history books. He’s done a yeoman’s job of making everything fit together to give him an opportunity to achieve the objectives that he must have begun to strive for when he was twelve and living away from Belgrade and his family. He recently announced that he had brought André Agassi on as his coach. After today’s performance, it seems like that plan is working very well. It’s another one of those only time will tell instances. After his win today, he didn’t seek the spotlight for himself alone. He stepped to the center of the court and asked the ball kids to join him in an impromptu dip and wave to the crowd. He’s a diplomat in shorts, carrying a tennis racquet. Tennis needs him. He is a wonderful ambassador to the world in general; but for tennis, he is a gem from Belgrade that sparkles more than a diamond, and with that, reflects all that’s good in the game. 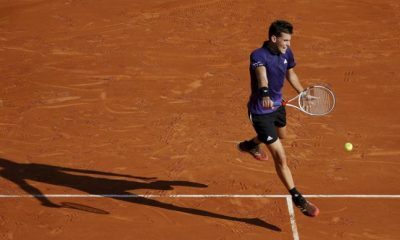 The BNP Paribas Open has served as a platform for the North American country to showcase their trio of success stories. Eight years ago Milos Raonic was the sole Canadian success story of the BNP Paribas Open in Indian Wells. At the age of 20, he received a wildcard into the main draw of the 2011 tournament. Stunning 13th seed Mardy Fish on route to the third round. During that year Raonic was the only player from his country – man or woman – to score a main draw win in the event. At that time there were only four players in the top 200 from the North American country with two of those in the top 100. Now there is a trio of rising stars paving the way for a new era of Canadian tennis. 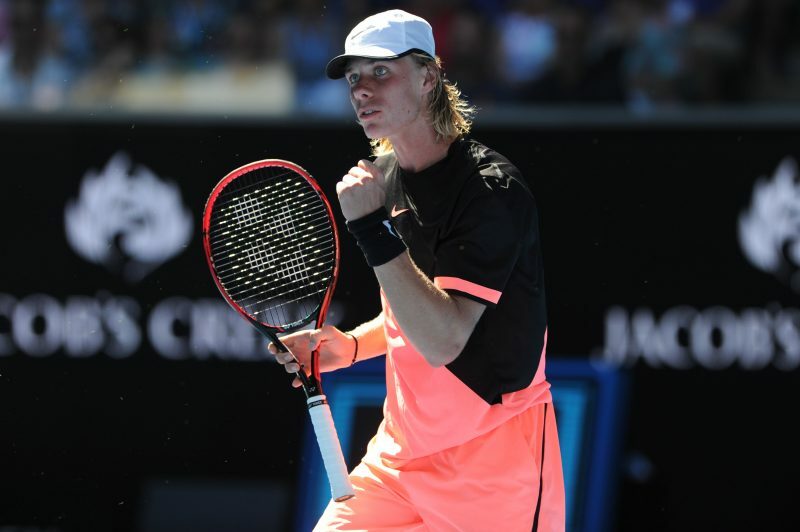 Denis Shapovalov, Felix Auger-Aliassime and Bianca Andreescu have all cracked the top 100 before their 19th birthday and have already enjoyed success in the Californian desert in 2019. 18-year-old Auger-Aliassime has posted the most high-profile win of the trio so far in Indian Wells. 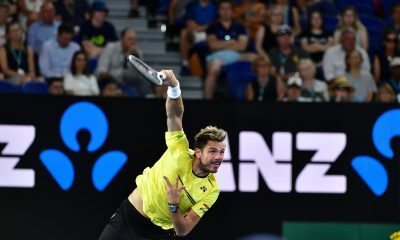 On Saturday he eased to a comprehensive straight sets win over Australian Open semi-finalist Stefanos Tsitsipas. The teenager has been regarded as a tennis prodigy throughout his junior career and with good reason. At the age of 14 he qualified for the main draw of a Challenger event for the first time. 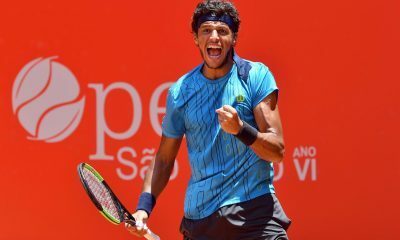 He also is a former US Open boys champion and is one of the youngest players of all time at win a Challenger title at the age of 16 years and 10 months. More recently he was runner-up at the Rio Open, which is a ATP 500 event. “I want to win as much as I can. I want to go as far as I can as a player. I don’t know what my limits will be, but I try to work hard every day to go as far as I can.” He proclaimed after defeating Tsitsipas. The achievements have drawn praise from Davis Cup team mate Shapovalov, who is almost 16 months older than him. Nicknamed ‘Shapo’ for short, he is still the youngest semi-finalist in the history of Masters 1000 events (dating back to 1990). Achieving that milestone at the 2017 Canadian Open at the age of 18. Still in the search for his maiden ATP title, Shapovalov kicked-off his Indian Wells bid with a 6-3, 6-4, win over Steve Johnson. Setting up a clash with Marin Cilic in the third round. Regardless of his lack of silverware, he remains the second youngest player in the top 100. Boasting a win-loss record of 8-5 so far this season. 12 months ago Andreescu was playing in a series of ITF events in Japan with the dream of progressing to the main stage of the WTA Tour. Since then, she has played her first tour final in Auckland, clinched her first win over a top 10 player (Caroline Wozniacki) and rose to a current ranking high of 60th. 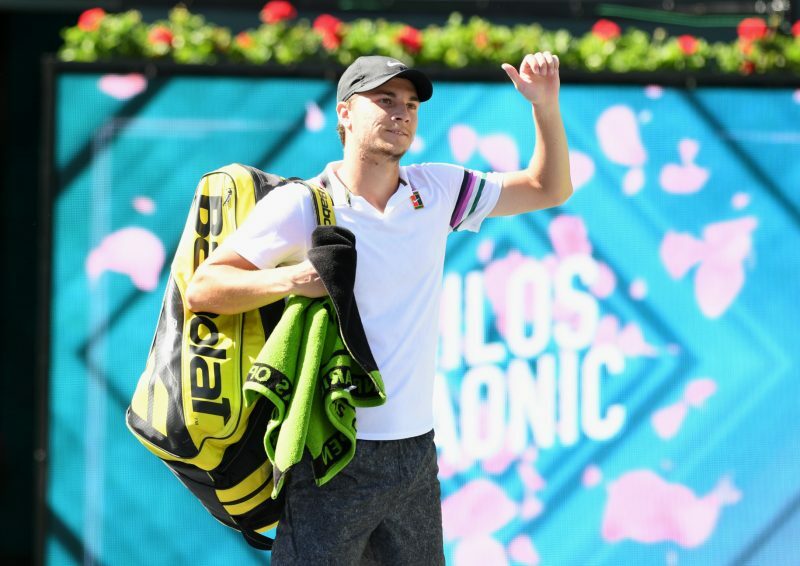 “If someone would have told me I would have gone to the fourth round of this tournament at the beginning of the year, I would have said, You’re crazy.” The two-time junior grand slam doubles champion said about reaching the last 16 in Indian Wells. Belonging to a trio of rising stars from the same country, a competitive rivalry is forming between them. Something that Andreescu hopes will propel them further up the ranks in the future. “We’re all killing it. It’s great. We have played so many junior tournaments together, and it’s so nice to see each and every one of us at the top of our game at this stage in our life, only 18, 19, which is pretty incredible.” She said. It isn’t just each other they hope to inspire. A determined Shapovalov is aiming to create a domino effect to boost the popularity of tennis back in his home country. In 2018 a survey conducted by Tennis Canada found that 6.6 million Canadians played tennis at least once over a 12-month period. Furthermore, 60% of respondents said they were interested in the sport. Placing Tennis in fifth place out of 14 sports that was surveyed. “And hopefully we can just keep going like this to make tennis a really big sport in Canada.” He added. Whilst all is not perfect, it is clear that Canada is becoming a fierce tennis nation. A prospect that is exciting many in the sport. As the second rounds approach in Indian Wells, here are five players that need a good tournament in California, which includes finalist Daria Kasatkina. As the 32 seeds are set to begin their Indian Wells campaign on Friday here are five players who need a good tournament in California. It has been a wild 12 months for the rising Russian star, who made a name for herself in Indian Wells 12 months ago where she beat Caroline Wozniacki and Venus Williams en route to the final. Since then two grand slam quarter-finals, a place in the top 10 and a Kremlin Cup has seen her in the headlines. However expectation can be a dangerous thing and after two wins all season with none of them coming against a top 100 player, she is in desperate need for a good tournament. This week she will be without a coach after splitting with Philippe Dehaes and this could be the perfect opportunity to get back on track. Inconsistency is the name of the game on the WTA tour and Stephens is no different. After a good 2018, winning the Miami title and finals in Roland Garros, Montreal and the WTA Finals, it has been a slow 2019. The American failed to reach the quarter-finals at the Australian Open and couldn’t record back to back wins in Premier or International events this season. The current fourth best player is looking to get back on track and she could do with a good tournament with her Miami title defence looming. Since winning her Wimbledon title last year it hasn’t been a great six months for the German as she has lacked a strong mental focus. After failing to cope with the favourite tag at the Australian Open, which resulted in a thrashing by Danielle Collins, there have been some strange performances from Kerber. The 31 year-old will look to find new form in California as she looks to send a message to the rest of the field that the real Kerber is still here to compete for titles. The inability to compete with the top players is a concern for fans of Muguruza, who has won two titles in her career. Despite the WTA coaching carousel continuing to unfold, Muguruza and her coach Sam Sumyk have continued their two year partnership. This has been baffling to everyone as Muguruza still hasn’t expanded on her 2017 season. After falling to world number 20, can Muguruza revive her hopes at the top of the women’s game here in Indian Wells. The Latvian has been dreadful since winning the Roland Garros title in 2017 with many injuries affecting her progress. With an array of coaching changes, Ostapenko has failed to deliver since the Miami final last year and her slide down the ranking is coming apparent. Can the 21 year-old gain some crucial ranking points ahead of the Miami Open in a couple of weeks?